So many things can cause water damage. Toilet overflow, pipe burst and floods are responsible for millions of dollars worth of damage each year. When the water damage occurs, floors can buckle, carpets can mildew and ruin, and walls can crumble. To prevent further frustrations, many people look to professionals for water removal, restoration services and same day service. Professional water removal services can save carpets and floors with water extractions. Walls can be saved if they are promptly dried using the latest drying technology. And certified technicians can restore cabinets and wood floors, too. Professionals will have equipment to create cross-airflow to help dry and evaporate moisture. Submersible pumps are available for continuous removal of high water levels. Some companies even have truck mounted and portable extraction units to remove water. Reputable companies will also deodorize and disinfect to prevent odors from water damage and to prevent growth of bacteria and mold. This is very important as diseases often stem from certain harmful microorganisms. 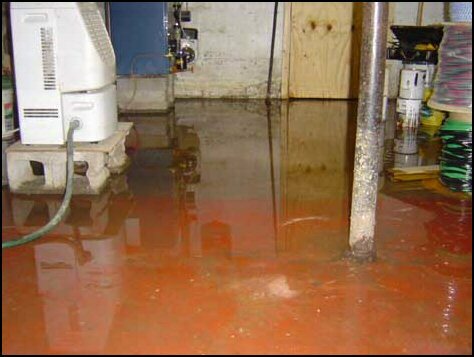 So whether it is basement flood cleanup, ruptured hoses, sewage cleanup, or water heater leaks that have caused the damage, certified technicians can help to save furnishings and possessions. They can also restore the damage already done, preventing further losses.